I spent a great deal of time last week trying to avoid this particular news story because it literally mirrored my life. How many times have I loaded my four children, with a 7 year old girl like Jazmine, into my SUV and gone to Wal Mart? How easily could that have been my 7 year old sitting across from me, unresponsive? Dead. 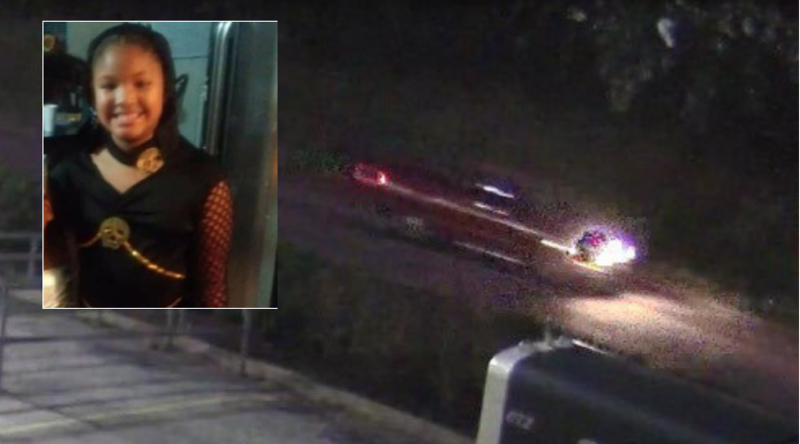 But as details unfold, the paralleles disappear and I’m left wondering, what really happened to Jazmine Barnes? Every time I saw the story tears would well up in my eyes and I would get this anxiety pain in my chest that was almost unbearable and still I don’t think it matched the pain of that mother waking up every morning and having to relive the tragedy to remind her that it wasn’t a dream. Thinking that some hateful person just randomly chose your family only to find out that the trauma from the incident affected your memory and it wasn’t everything you thought you had seen. I need people to cut her a little bit of slack on that one, because who exactly zeros in on the face of the person spraying you with bullets? Suspects were arrested over the weekend and I know I was quite shocked to see who they had in custody. Honestly, I would rather believe that someone who hated us because of the color of our skin did this, because it’s so much more painful to know that one of us has done this to a child in his own community. Not an outsider at all. It’s an ugly truth and one that we have to take as much energy to acknowledge as we do the hate crimes. If we don’t, we’re no better than the people who we accuse of believing our lives don’t matter. We may have never had an arrest in the case had it not been for this guy. 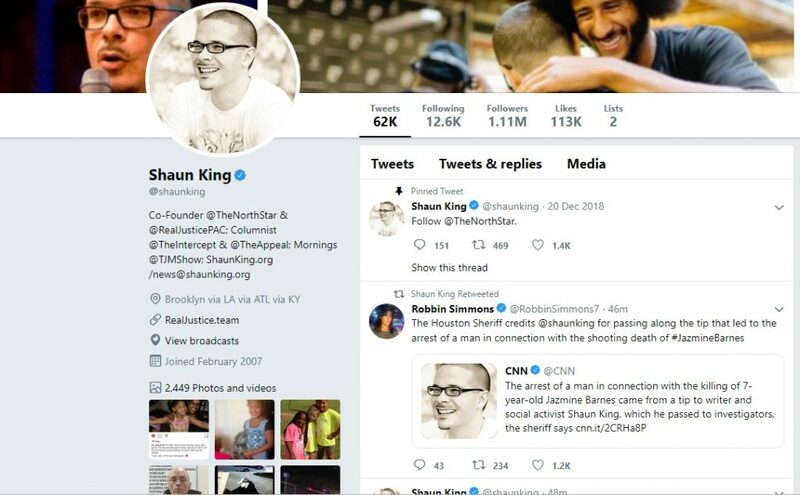 Shaun King upon hearing about the story was touched enough to offer a $100,000 award for information leading to an arrest and apparently came across that tip and passed it on to the Harris County Sheriff’s Dept. who has off the record credited King for his tip leading to the arrest of two suspects. 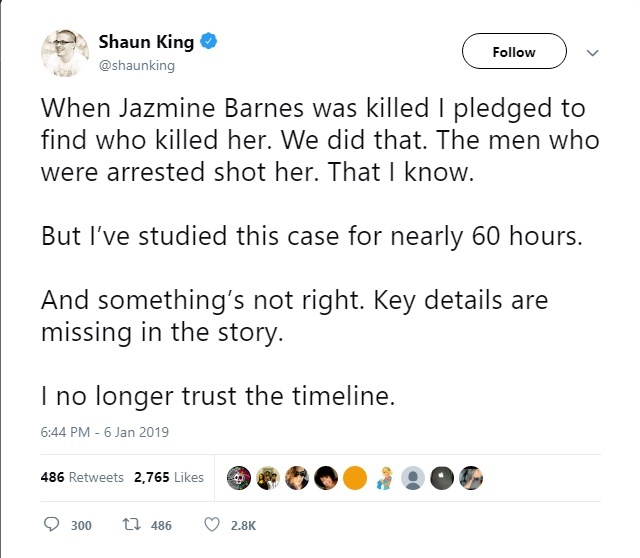 But even Shaun is having second thoughts about the tip he passed on to police who were all to quick and enthused to arrest two men of color. I mean, it is Texas. He later tweeted today that he has been over this case for 60 hours and now he’s realizing that something isn’t adding up and concluded so with saying, “I no longer trust the timeline”. White people are desperate not to be at fault for this. I can almost hear them saying their prayers tonight, “Thank You Jesus it was a black man!! 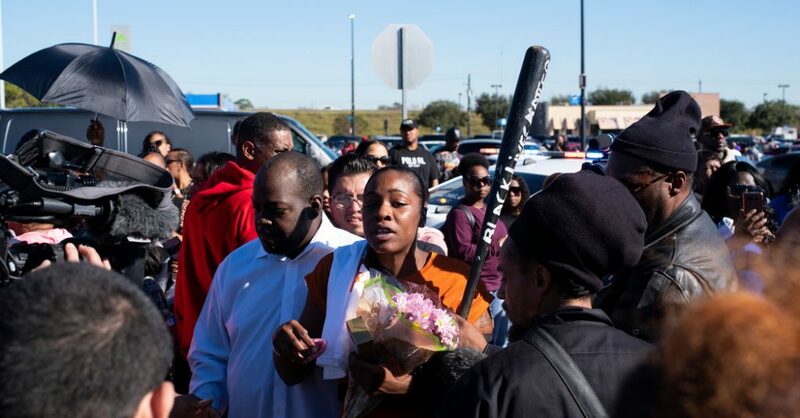 !” This is story is still developing, and while I will allow the police to do their jobs, I will not however stand by and allow misinformation go without being corrected. 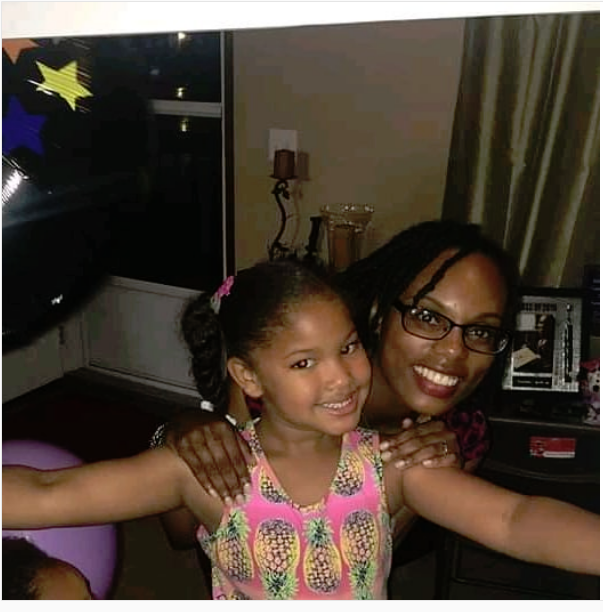 So the rumor is this: LaPorsha Washington mother to Jazmine Barnes knew her daughter’s killer. 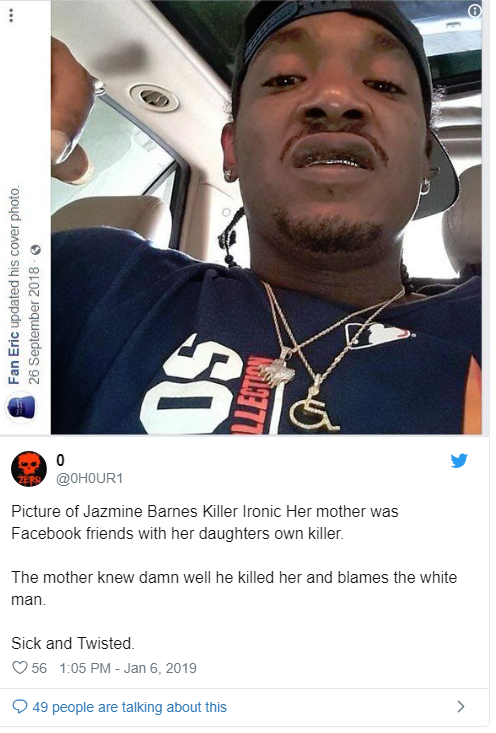 Some are even going as far to claim that she was facebook friends with her daughter’s killers AND that she attempting to purchase drugs when the deal went wrong and dealers/fb friends shot her car up not knowing her children were in it with her. The Gateway Pundit lived up to the “pun” in its name reporting right wing rantings from the lesser known 0 @Hour1 Twitter page. 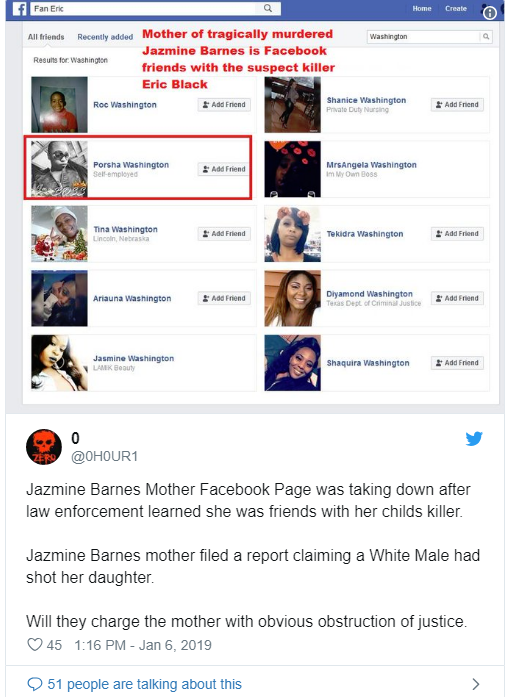 Claims that LaPorsha Washington was FB friends with her daughter’s killer caught the attention of and pumped up a lot of pissed off white people who believe everyone jumped the gun in calling this a hate crime so soon. How quickly they forget Susan Smith who swore a black man kidnapped her children at the only stoplight in town when in actuality she had strapped them in their car seats, drove her car into the lake, and watched them drown. But let a woman who is being shot at misidentify the race of her shooter (still out to lunch on that) and watch the same hate they are denying flow through their inaccurate memes. Case in point, they go even further to try and discredit the mother by bringing up her criminal past and attempting to link it to a drug addiction. They claim that the mother has a history of drug abuse, but even looking at the court documents there’s nothing there to confirm those suspicions. She could have been stealing to pay the light bill. Now, I don’t believe everything I read on the internet because I write a blog too, and I know all too well how easy it could be to make up whatever you want, sprinkle a little photoshop magic, and make people believe. 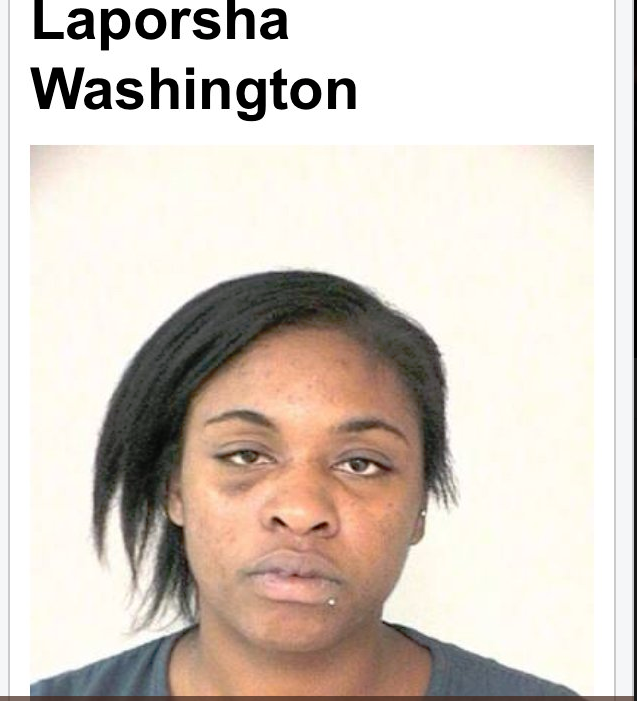 Unfortunately, this arrest record is all too real. I went to the Harris County Court Website myself to check it. 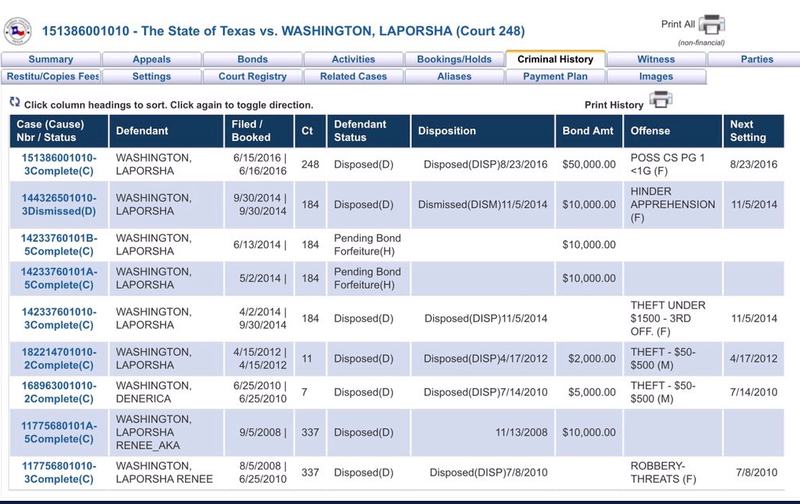 As to whether or not her arrest record confirms drug abuse is very argumentative. She looks more like a serial shoplifter to me. 3. Shaun King is being accused to pushing the false narrative of a hate crime when he knew the suspects were black. Apparently Shaun has been in trouble for this before. Last summer he was caught pushing untruths for follows and retweets in a case. Again this is a claim made by the right winged website The Daily Caller. 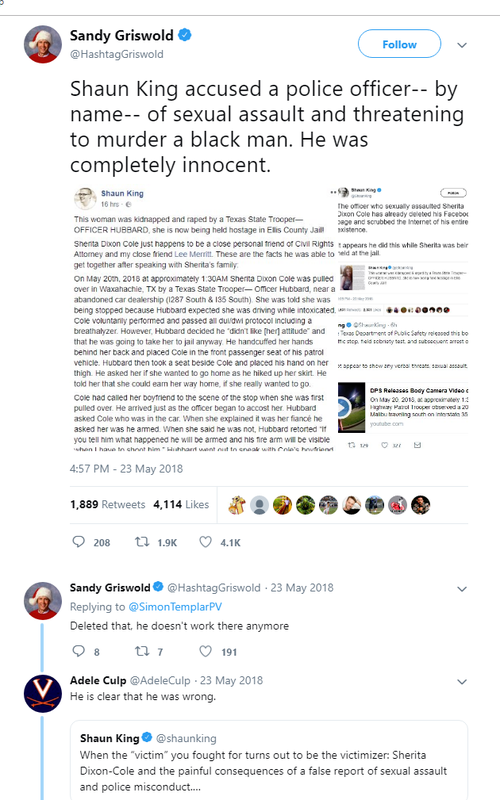 The site published claims that last year King falsely accused a state trooper by name of sexually assaulting a woman in custody. Video later cleared the officer, And King apologized. So let’s hear it! 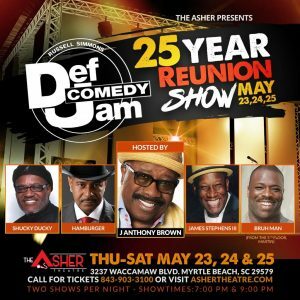 Do you think Shaun King was wrong? 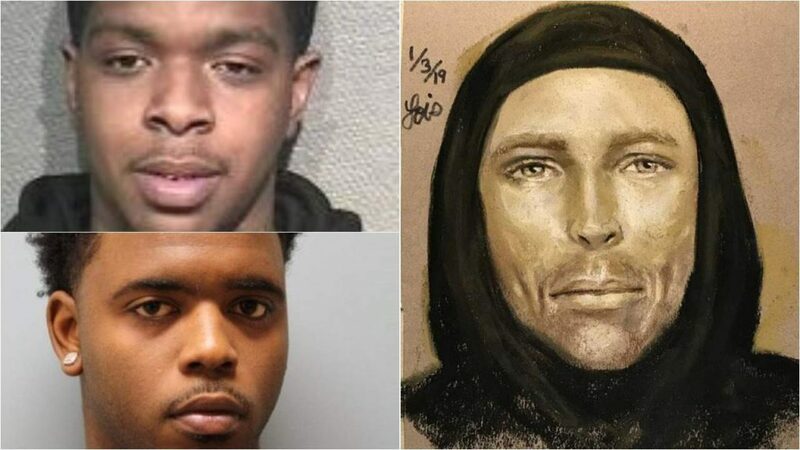 Do you think he pushed the white man suspect for social media gain? Or do you think Shaun is doing more for our own people than our own people are? If these allegation are true, how upset are you with these findings? I would love for you to join to conversation in my comments. All opinions are welcome. I’ve read every where that this was a drug deal gone bad. Why is everybody trying to make everything about race in this country? Black people are always ready to blame white people for their problems. Black on black crime is real.